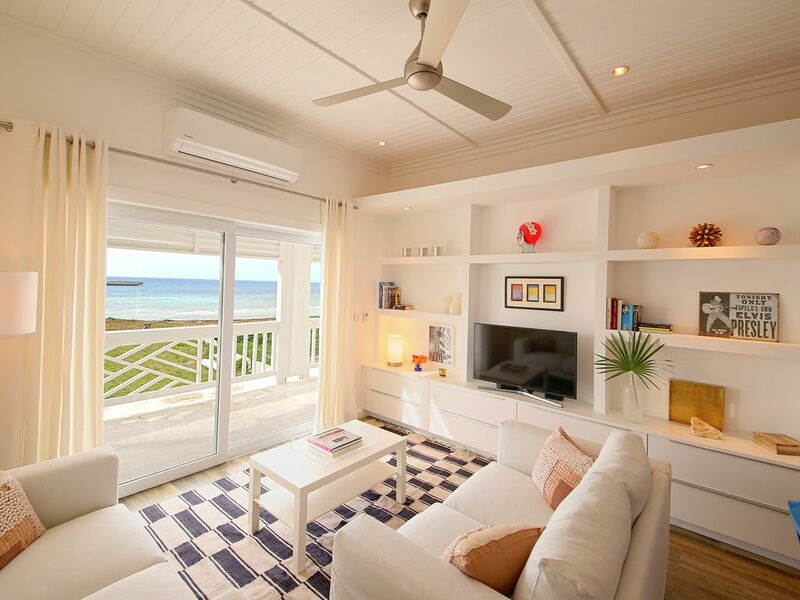 Welcome to The Governor's Collection - Anchor Point Apartments; an affordable, condo-style development located in the heart of Governor's Harbour, Eleuthera. The complex is comprised of two buildings: One contains 2 one bedroom apartments and two standard two bedroom apartments, while the other building contains 2 larger, two bedroom apartment suites. All units are built with covered, outside balconies that offer fantastic views of Anchor Bay. For a great day out on the ocean fishing, we would be more than happy to help you arrange hiring a boat for the day or organizing a charter, with your own captain. Paddle boards, kayaks, and jet skis are also available for rent, as well as snorkeling and diving gear. You can also take a day excursion to visit The Swimming Pigs of Spanish Wells – a relatively new, but very popular, day tour! Just got back from 8 days at Anchor Point, and had a wonderful time. Joy and Dom were there to greet us, and give us a lay of the land. They are super friendly hosts, who made it clear that they were there for us if we had any questions, problems etc. The apartment was just as it looked on-line...very clean and beautifully furnished. It is in a great location, with easy access to points north and south. Parts of the island are quite secluded, so we enjoyed being in the hub of Governers Harbor. A few small grocery stores (pack a suitcase with dry-goods etc) several restaurants, and extremely friendly people. You can see the “fish market” from the porch of the apartment, so we bought fish daily and cooked most of our meals in the very well appointed kitchen. The Island Farm is a must, as it was the only place where we found fresh produce, and amazing fresh bread on Tuesdays and Fridays. One thing to be aware of is the roosters right outside the apartment. They are very loud, and start early..about 4:30 am. They do provide ear-plugs to help with this, but we were glad that we brought an Amazon Tap with us for the beach... and ended up using it at night as a sound machine. FYI, the property owners (Governers Harbor Estates) also have several other properties for rent on the island. These have a slightly higher price point, but are in a quieter section of town and look beautiful. Definitely try out the Sweet & Savory food truck that is parked in the Burrow’s market parking lot. They have amazing smoothies/wraps etc. at very reasonable prices. Bonus, it is less than a 5 minute walk from the apartment. We enjoyed walking French Leave beach each morning, and loved the shallow flats at Ten Bay beach. The apartment provides beach towels, chairs and an umbrella, which was great for long days at the beach. We used Central Auto Rental, which was phenomenal! Mona, Margaret and Nixon are all wonderful people. It is a very quiet island, so if you are looking for lots of people, nightlife etc. this is not your place. However, we were blown away at the friendliness of the locals, and the very laid back vibe. Definitely returned home well rested! The apartment was lovely and tastefully decorated with both furnishings and fresh flowers. The view was beyond compare as my love for the ocean is great! Anything we needed was just a phone call or text away as Dom and Joy were very attentive to our needs and accommodating! The binder that Joy prepared giving directions to beaches, restaurants and their menus, maps, guide and rental services and so much information that first time visitors like ourselves would have been totally lost without was such a help! We called it our bible! We liked living right inside the little town of Governor's Harbor. The weather was wonderful as were all the new friends we met! We truly loved the Friday night fish and wished we could have stayed for the next one. The French Leave Beach was quite lovely and nice for people that like to walk on the beach. We loved to eat breakfast at Buckaneer's and I really liked Tippy's! The little bakery just 2 blocks down from our residence had the best coconut scones I've ever tasted as well as lovely cheese danish and some little donuts with lemon in the middle that my husband loved. The only real problem was the no see'um bugs that bit the crap out of my husband but not me. He's already planning his defense for our return which we hope will be sooner than later. We would also like to take our children and their spouses sometime as we know they would also love it. We also would rent a four wheel drive vehicle next time to be more confident in our explorations off the main road. Chris plans to fish next time and will visit the fisherman's market and support it. We miss it and will reminisce often and look forward to the next time. And of course, we will definately stay in one of Joy and Don's properties! Newly renovated and perfect conditions appartment with friendly and helpfull property managers. Joy and Dominic were very responsive with my communications. They greeted us and explained thoroughly the functioning of the newly renovated (and immaculate) apartment No. 4. Modern and good taste decor. We even got a free upgrade! Thanks for that! Walking distance from food stores and ATM´s. The beach is a walk over the hill, passing a delicatessen shop that serves breakfast and lunch so you can stop by and enjoy good food as well. Excellent and fast internet connection which allows you to telecommute and connect to remote servers (50 Mbts.!). I was surprise of the speeds. Fully equipped kitchen with full size oven, microwave, fridge, toaster and every kitchen tool necessary for cooking or baking. Thank you! We've had an amazing stay! The apartment is brand new and perfect for a couple (or small family). It's clean, the wi-fi is super quick and comes with all the amenities and kitchen supplies you'll need. The owners are very welcoming as well and have provided a helpful manual with the best restaurants, beaches, supermarkets, etc. you can find in the area. A supermarket and bakery are just within 5-min walk, there's enough parking space and easy access to all the beaches and places on Eleuthera. It's a quiet neighborhood and would definitely love to stay here again!